We at the Northerner have 20 years experience in the smokeless industry, and recently we have witnessed a huge growth in the tobacco-free segment. More, and more consumers are looking for a less harmful way of using nicotine and are turning to nicotine pouches. But, we also see a growth in other products such as tobacco-free chew and nicotine toothpicks. 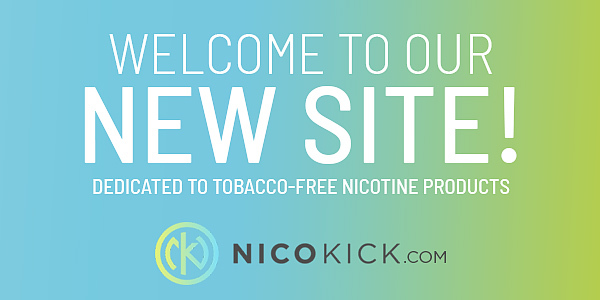 We love the idea of a healthier lifestyle, and therefore we have created a completely new website dedicated to all kinds of tobacco-free nicotine products – Nicokick.com. But since the segment is realtively new on the market, there is not much information to be found about it. 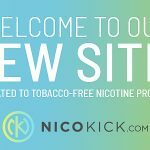 So it was equally important for us to start a hub, where you can learn everything you need to know about nicotine pouches and other tobacco-free products. Where you can discuss with other consumers, write your own testimonials to help others decrease their tobacco use, learn more about the different nicotine strenghts, learn more about the different flavors, and much more. Jump over to our new website, check it out and take part of our great launch offers. Now, you may be asking yourself what is in an On! Nicotine Pouch? On! is a patented white, dry nicotine pouch completely free from tobacco. The nicotine in the pouch is derived naturally from tobacco, but the pouches do not contain tobacco. The nicotine itself is crystalized which gives a faster release than that of regular tobacco. In each 5.3 gram can you’ll find 20 pouches for 0.265 grams each. The product description for on! Nicotine Pouches: Original says it has a “neutral flavor with a hint of sweetness”. In the nicotine pouch category, there is a wide variety of flavors, from mint to dragon fruit to wintergreen. Some people, however, may want to enjoy nicotine but without any added flavors. This is a great product for those looking for that. These products have a very neutral aroma. And by neutral, I mean just that – you don’t smell much. The pouches themselves are small and quite discrete. They are also dry to the touch, so not as comfortable at first, but as they get moister, they do become more comfortable in the lip. The flavor itself is very simple. It’s a mild, lightly sweet taste. The flavor, on average, lasts about 30 minutes. This product is the strongest product made in the On! range, clocking in at 8mg. 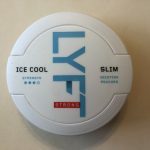 To compare it to Swedish Snus, it feels to be about the regular strength level. Meaning, you can feel the nicotine but it’s not too over the top. It’s a nice, steady delivery. US snusers have a treat on their hands at Northerner.com! 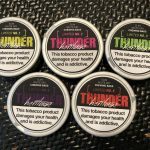 Thunder Xtreme (Original, Original Strong, and Red Strong) are available at a discount of 60% off! In case you missed it, we reviewed these great new products not too long ago, so check that out if you haven’t! Now, what exactly does 60% off equal out to? Check out these prices! Thunder Xtreme is marked down from $4.90 a can to $1.96 per can. For less than 2 bucks a can, you can’t beat it. Check out this great deal and grab some Thunder Xtreme while it’s available at this unbelievably low price! Black Friday Deals! 23 November 2018. Black Friday is here, and there are a lot of great deals going on at Northerner.com. With this deal, when you buy 10 cans of Chainsaw you get a free t-shirt! You can also enjoy 40% off these products from AG Snus! How about 40% off these awesome Swedish Match products? Check out 40% off these General products! Like General Original Portion? Get it as low as $2.22 per can! Get 30% off Jakobsson’s Mint & Melon! 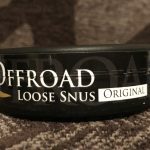 Enjoy loose snus? Get 30% off these products! Get 40% off these Skruf Super White products! Want something really strong? Get 40% off Thunder X! These deals won’t last long – so get them while they’re hot! Who doesn’t love a great deal? Let’s check out some great deals going at Northerner.com! 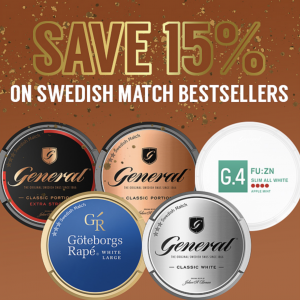 First, save 15% on these Swedish Match bestsellers such as General Extra Strong Original Portion, General Original Portion, Göteborgs Rapé White Portion, General White Portion, and G.4 FU:ZN Slim All White (Apple Mint), to list a few! Check out this sale section to view all the Swedish Match products on sale! Want something ultra strong and ultra fresh? Get 10% off Thunder Ultra Frosted White Dry! If you have tried Skruf Super White yet, check it out! The two mint versions are marked down to $4.68 per can! The fresh, fruity, delicious Jakobsson’s Melon Extra Strong is marked down to only $2.80 per can! 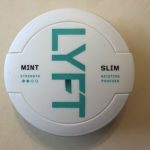 Do you like collecting limited edition snus cans? Make sure and grab a can of the limited edition Thunder Ultra Frosted White Dry Chew Bags! They have an awesome custom design to celebrate the 20th anniversary of Northerner.com!